If search on Amazon always returned the best product no one would click on advertising. Think about that. There is no better way to understand why, what to some appeared like it came out of nowhere, Amazon became the fastest growing advertiser. Growing faster than either Google or Facebook, the duopoly dominating advertising in the US. The driving force behind this is fundamentally the biggest flaw of Amazon: its search. While being the path for almost all purchases on Amazon it, on many levels, doesn’t do a good enough job. Advertising doesn’t fix search. Doesn’t solve discovery either. But it allows those on the supply side a predictable way to reach their audience. “About 70 percent of the word searches done on Amazon’s search browser are for generic goods,” wrote Julie Creswell for The New York Times. That means customers are typing “running shoes” or “mascara” rather than asking explicitly for Nike running shoes or L’Oreal Paris mascara. Which both means that there is big opportunity for young brands to win against established players and that Amazon is faced with a hard challenge - picking the winner out of thousands of brands. Sometimes the winner is exactly what the consumer wanted, sometimes it is not. The times when it is not is why Amazon advertising exists. When shoppers search for “running shoes” they will end up buying one of the first few search results. That’s the power of ranking high in search results. But this search term gives Amazon little information to decide what to show. Thus despite having mountains of data on that shopper’s orders history and the shopping history of millions more, millions of reviews and ratings, billions of conversion rate combinations, and dozens more metrics it can only do so well. That’s why Amazon is a leader in convenience and shipping, but not in discovery or recommendations. It does a better job than anyone else if a shopper knows exactly what they want, but fails if a shopper wants to browse. Buying and shopping are not the same thing. The catalog of hundreds of millions of products is too big to browsed by any shopper, obviously. Yet building discovery even with modern machine learning advancements is not a solved problem. Many other startups are trying to tackle discovery, personalization, and recommendations in their own way. But global platforms like Facebook, Google, and Amazon faced with infinite choices for any one user do not have a great answer. Of course they are always improving, but they are chasing perfection that might never come. The internet makes advertising important because it has no moats. Websites on Google, posts on Facebook, and products on Amazon are tiny signals in a sea of infinite selection. None of those platforms have figured out how to provide the right answer for every question (often people don’t know what to ask for too), which created the space for advertising to exist. Amazon is becoming a pay-to-play platform because it’s better to pay - even more on top of other fees - Amazon to show up on top of the sort order than not to be found. The internet makes it possible for any product from anywhere in the world to be on Amazon. But how do shoppers find your brand? Advertising. 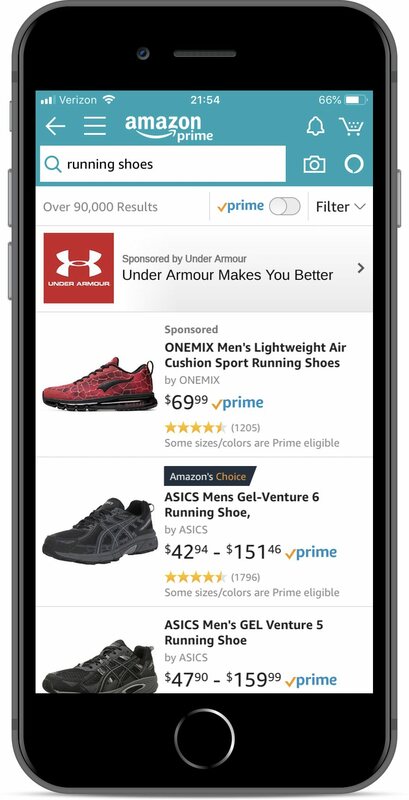 It’s no wonder, then, that advertising on Amazon is disrupting the marketplace.